Police are working to find out how a man whose body was found outside a burning car in Laurel Wednesday died. 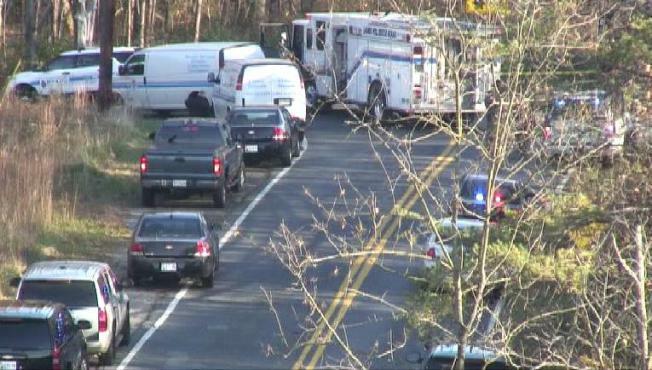 News4's Prince George's County Bureau Chief Tracee Wilkins was on the scene when the car was towed from a wooded area off Rock Bridge Road. She said the SUV had heavy front-end damage, and officers said the man's death was likely not suspicious. "Right now it's a death investigation," Harry Bond with Prince George's County Police said. "It looks as though [the victim] was in a vehicle accident." Investigators are trying to determine if the man was ejected from the vehicle in the crash, or if he tried to run away from it after the fire began.